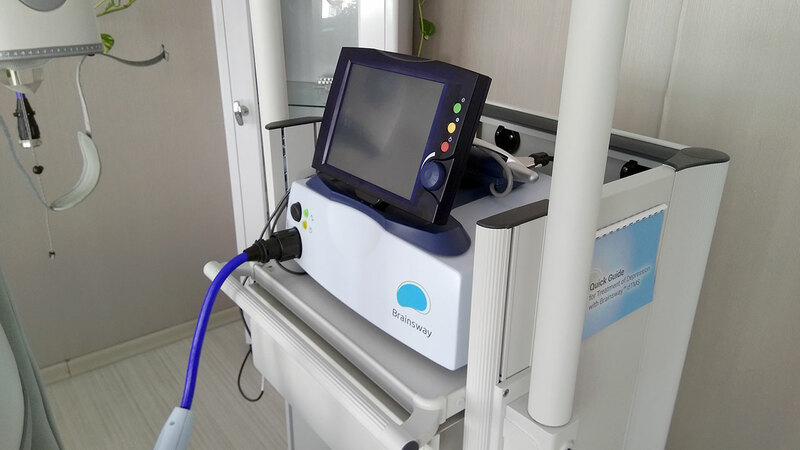 Deep TMS is mostly implemented on treatment-resistant disorders, such as major depression, obsessive compulsive disorder (OCD), addiction, attention deficit and hyperactivity disorder (ADHD). It is a drug-free and non-surgical treatment that does not require anesthetics. The patient is awake and conscious during the implementation. The left prefrontal cortex of the brain is stimulated by giving magnetic pulses 4 cm under the head through a plate placed onto the skull. Therefore, the neurons functioning over electrical activity become active via magnetic stimulation. It aims to intervene in major cerebral structures like singulat girus in the limbic system. This area is the most primitive structures of the emotional brain and is responsible for the regulation of the emotional behaviors. Improvements are expected to occur in empathy, impulsive control and decision-making. Deep TMS is being implemented at high success rates in the following disorders in many countries around the world. 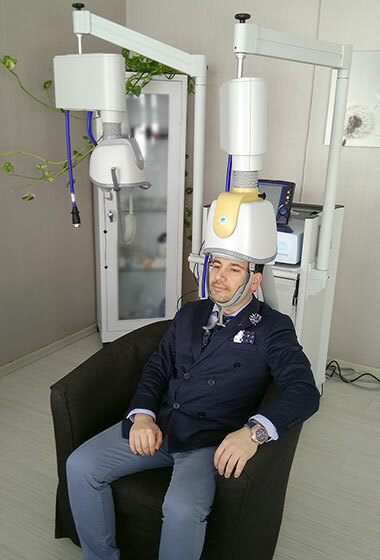 Deep TMS was developed by Prof. Abraham Zengen in 2001. It was patented by the American National Institute of Mental Health and the company Brainsway. It obtained the U.S. Food and Drug Administration approval in 2003. Although reported to be applicable on children, it is advised to be implemented on people over 18 years of age. Although Deep TMS have been reported to have scarcely any side effects, no side effects have been spotted excluding the temporary situations such as temporary headaches, temporary ringing in the ears, etc. during the application. In the case that the ache continues following the first couple of sessions, it is not harmful to take painkillers. Following the application, the patients may continue their daily routines, such as driving cars. It does not cause temporary memory loss, weight gain, xerostomia or sexual problems. Following the performance of the examination required, this application is included in the treatment process upon the joint decision of the attending physician and the patient. There may be cases where the TMS application is not suitable, or the attending physician may not recommend it. During the Deep TMS application, drugs can be taken in a doctor-controlled manner. Recovery was also reported in patients who were not subject to any medication. Excessive alcohol consumption or excessive medicine use is not recommended. Similarly, in the case of suicidal thoughts / happiness / anxiety prior to the application, the patient or his/her relatives must inform the attending physician on this issue. When compared to the commonly-utilized rTMS, Deep TMS provides the opportunity of application on a wider area including different parts of the brain, thus enabling the activation of more and more neurons. This, in turn, strengthens the clinical answer.